Jonathan Demme proves his love for The Feelies | Will You Miss Me When I'm Gone? On Sunday night at the Jacob Burns Film Center in Pleasantville, N.Y., Demme proved it. 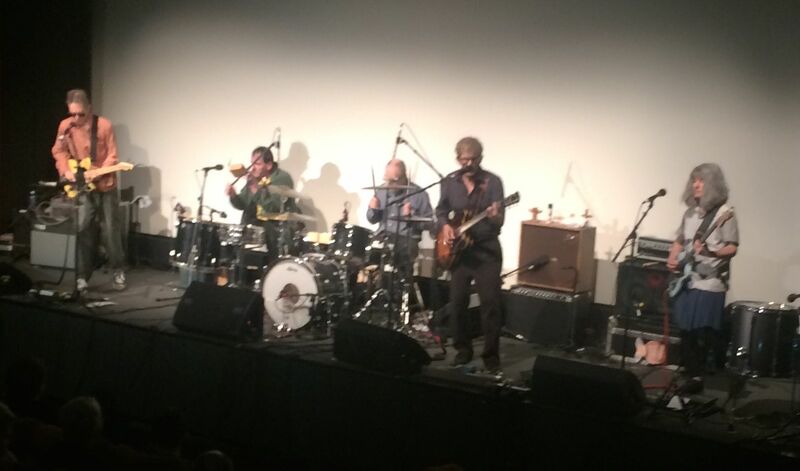 The Feelies onstage at the Jacob Burns Film Center in Pleasantville, N.Y., on Sunday, June 1, 2014. At the Burns Film Center, Demme had his dreams fulfilled without having to stay up too terribly late. The movie ran from about 7 p.m. to just before 9. 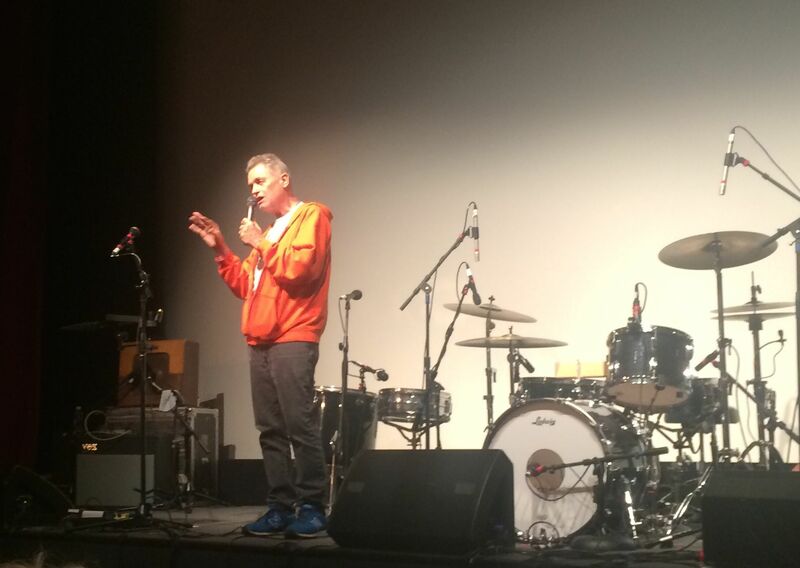 It took about 20 minutes move the band’s equipment into place,, and Demme used the time to stage an unscheduled Q&A session with the near-capacity audience. 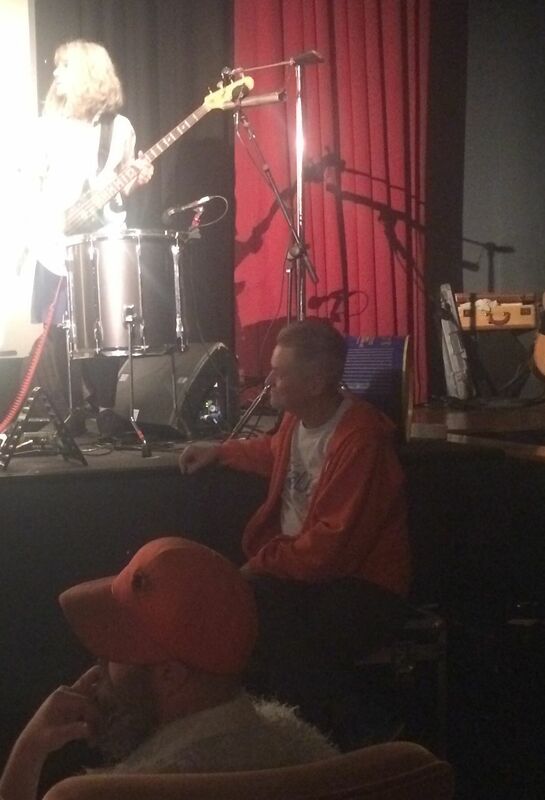 Jonathan Demme at the feet of Feelies bassist Brenda Sauter. The Feelies took the stage played a solid set — one that had Demme dancing continually — of 15 songs plus encores lasting a bit more than an hour, wrapping up by 10:15 or so. The Feelies didn’t reprise their cover of David Bowie’s “Fame,” which percussionist Dave Weckerman sang at the center of the high school reunion scene in “Something Wild.” It was a song chosen for the film, and not one that the band, known for including one or more covers in every show, had in its repertoire. Instead, the crowd got a fast, punky version of The Monkees’ hit “I’m a Believer,” which is part of The Feelies’ catalog and also was used in the movie. This entry was posted in Music, Pop and Rock, Review, Uncategorized and tagged Jacob Burns Film Center, Jonathan Demme, Pleasantville, Something Wild, The Feelies. Bookmark the permalink.